Are you wanting to restrict your products or restrict content to customers that join a monthly or annual membership plan on your website? Great, because on this blog we show you how to build a membership site on WooCommerce – the easy way! OK creating a WooCommerce membership website may not be super simple! There is just a lot that goes into building the perfect membership site. From setting up a system, to creating plans, managing your content and products to adding in subscriptions, there is a lot to think about when it comes to creating a membership website. That said, if you have a WooCommerce website and are looking for one of the easiest ways to integrate a membership system into your online shop we think the official WooCommerce extension – the WooCommerce Memberships plugin is the easiest way to do it. Today I am going to take you through some of the things you should consider before starting a membership site, why WooCommerce Membership is the best option available to date, and how to get WooCommerce Memberships up and running on your website. 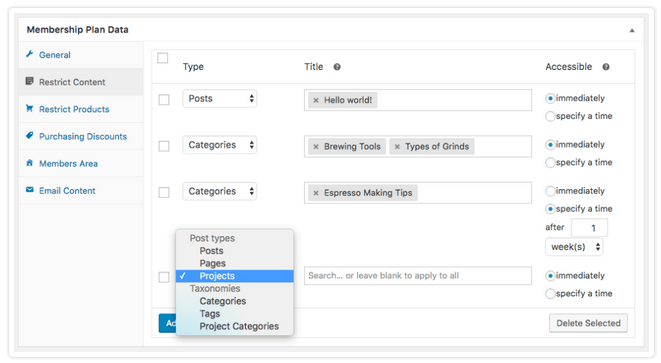 If you look hard enough, you’ll find plenty of WordPress membership plugins available that vary in terms of functionality and price. And, while they all get the basic job done, there are some important things to consider before deciding on a solution. Ease of Setup. This is a big one. In fact, most people choose WooCommerce Memberships because it is the easiest option available on the market today. Payment Options. Look at whether your plugin solution prorates charges, which payment gateways it works with, and how easy it is to accept members from countries around the world. eCommerce Capability. True, WooCommerce Memberships is going to support eCommerce (obviously), but if you are looking to use another plugin, it may not integrate with your existing eCommerce shop. This means your members may need to sign in separately to their membership and your online shop, which can be frustrating. Security Measures. Again referencing WooCommerce Memberships, having built-in security measures is key. With Sucuri fully auditing the WooCommerce codebase, you can rest assured your website and your customers’ sensitive information will be safe. Added Functionality. Since WooCommerce Memberships is already an extension of WooCommerce, this point is moot if you choose to use it. 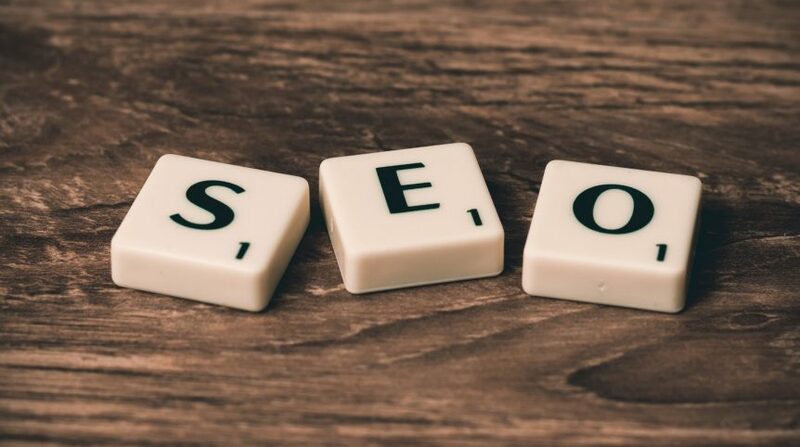 However, knowing that the plugin you choose has extendibility makes setting up a membership site not only easier, but also more user-friendly. As you can see, there are plenty of things to think about when it comes to choosing the perfect membership solution. 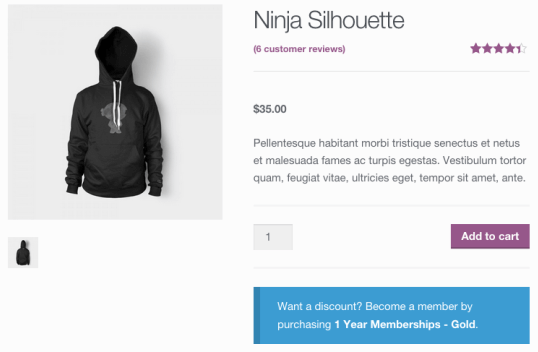 Additionally, it is simple to see why those running a WooCommerce shop should use the complementing membership solution – WooCommerce Memberships. Not convinced? 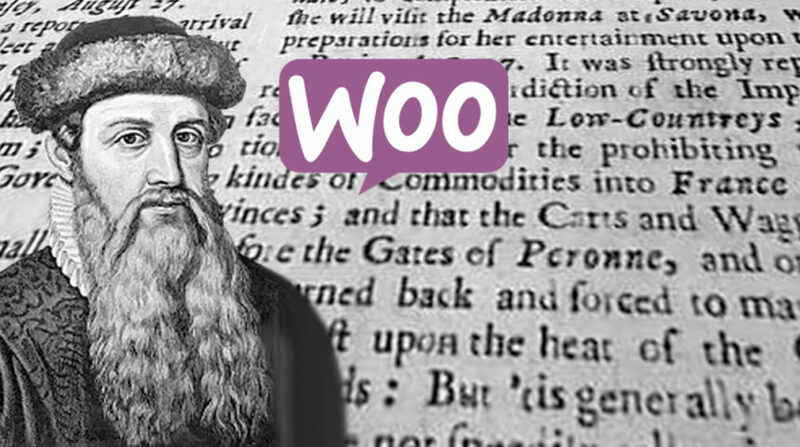 Read on to find out more reasons why you should use WooCommerce Memberships. WooCommerce Memberships is an official extension to the popular eCommerce platform WooCommerce. Integrating completely with both your website’s content and products, this membership solution is an easy-to-use plugin that brings memberships, content, and your online shop together as one. In the end, this plugin solution has everything you could possibly need to maintain a smooth membership system that does not interfere with your existing WooCommerce shop. The first thing you will need to do is purchase the WooCommerce Memberships extension and activate it on your website. 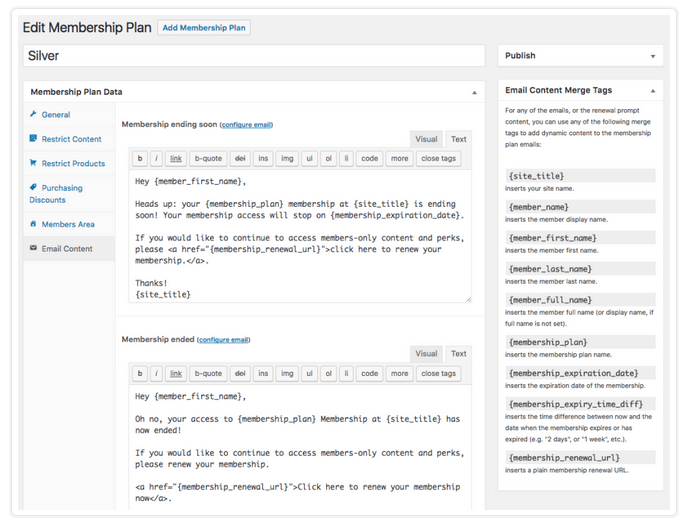 From there, navigate to WooCommerce > Settings > Memberships to begin configuring the plugin for use. The developers of WooCommerce Memberships have graciously written some extensive documentation regarding the use of this membership plugin. That said, they recommend that those wanting to get their membership up and running quickly simply leave the plugin’s restriction settings alone. However, for those interested in what those settings are (whether you want to change them or not) take a look at the following types of restriction modes available. Hide Completely. If you want to hide all of your website’s content from non-members, including comments made on restricted content, your site’s archives, or your blog or shop’s pages, choose this restriction mode. Only after someone purchases a membership and logs in will this content become accessible. Unfortunately, restricting content like this makes content indexing impossible for search engines. Only choose this option for private membership sites. Hide Content Only. If you wish to restrict some content (not including your blog or shop’s pages), choose this option. Again, only after purchasing a membership will this content be accessible. Until then, a convenient restricted access message will appear to site visitors trying to view it, hopefully encouraging them to purchase a membership. Redirect to Page. Similar to “hide content only”, redirect to page restrictions will show your blog and shop’s pages, archives, and optional excerpts. However, if a site visitor accesses restricted content, they will redirect to a page with a content restriction notice. 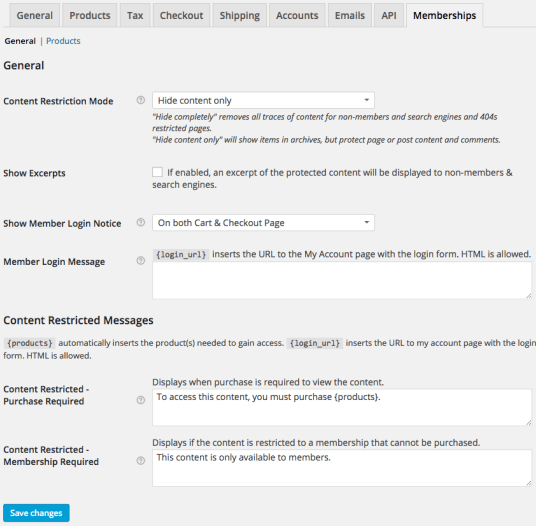 After you have (or have not) configured the plugin’s restriction settings, navigate to WooCommerce > Settings > Memberships under the “General” section. 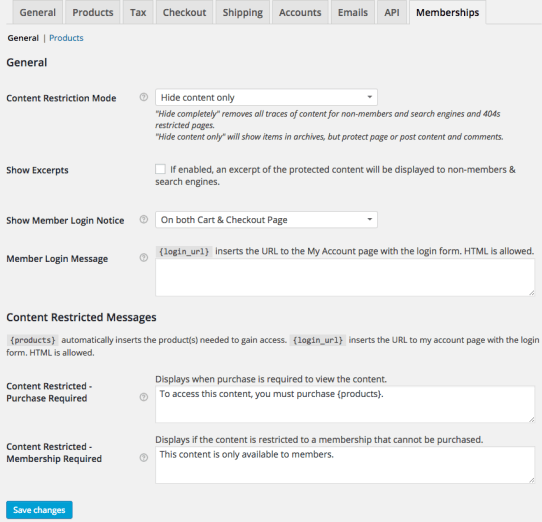 In this section you can also change the restricted content messages so that your non-member site visitors know when they have run into content that is only allowed for members, as well as how to gain access by purchasing a membership. In addition to changing the restricted content messages, you can change product restriction messages as well. This way, non-members exploring your online shop will know how to become a member and gain access to these specific shop products. 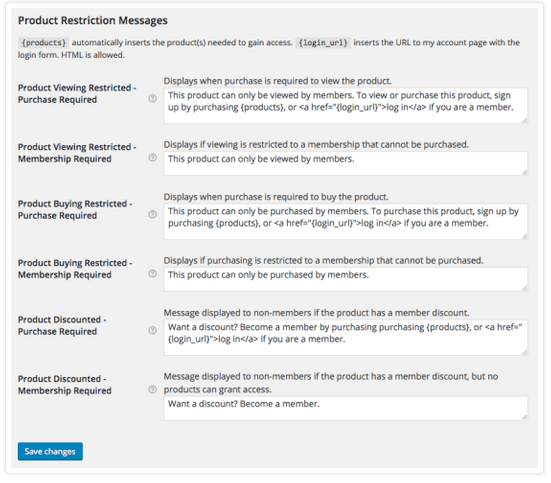 These messages can display based on whether viewing a product is restricted or purchasing it is. It can state that purchasing is not allowed, viewing is not allowed, that only members receive discounts, and more. More so, this section allows you to define a message reminding members that they receive a discount on certain products and that they should sign in. 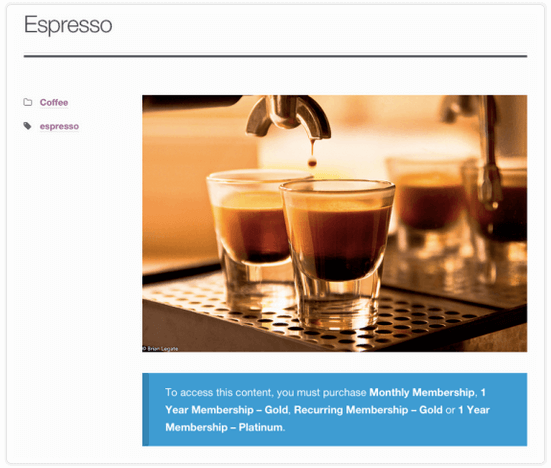 Now that your WooCommerce Memberships plugin is set up to your liking, it is time to create a membership product and start selling memberships to your site visitors. To do this, simply create a WooCommerce product (simple, variable, or with a subscription using WooCommerce Subscriptions), and set the membership cost as the price of the product. 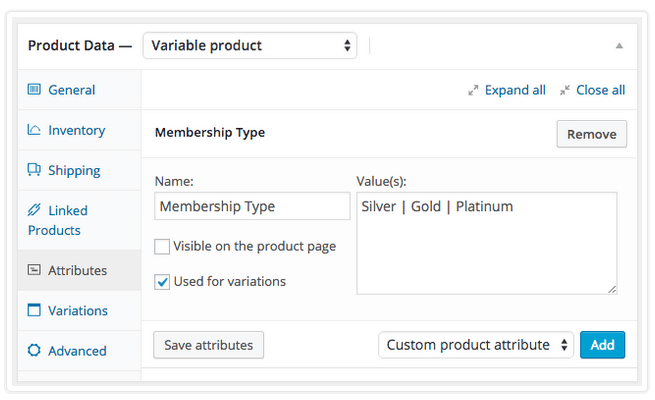 There are no specific membership product types since they are tied to a kind of product on your website. For instance, you may want to allow visitors to add on a membership to another product, you may require membership applications (for manual membership access), or you may want to allow for membership variations (e.g. platinum, gold, and silver plans). 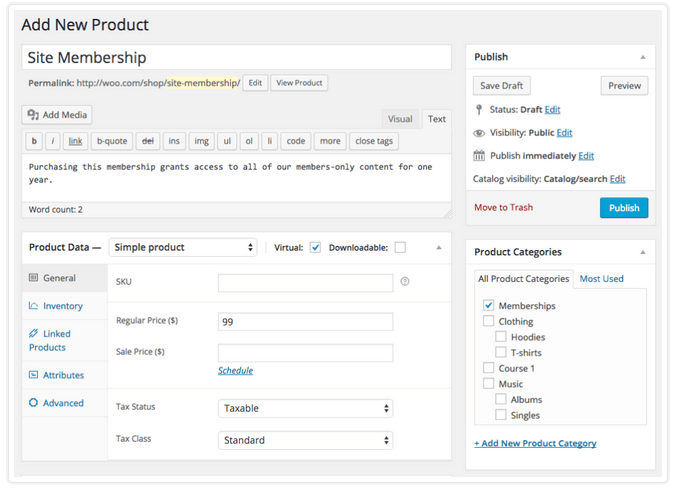 After creating your membership product, navigate to WooCommerce > Memberships > Membership Plans and click on “Add Membership Plan”. This will let you turn you newly created “membership product” into a true membership. Customize what your members see in the member area once they log in to their account. 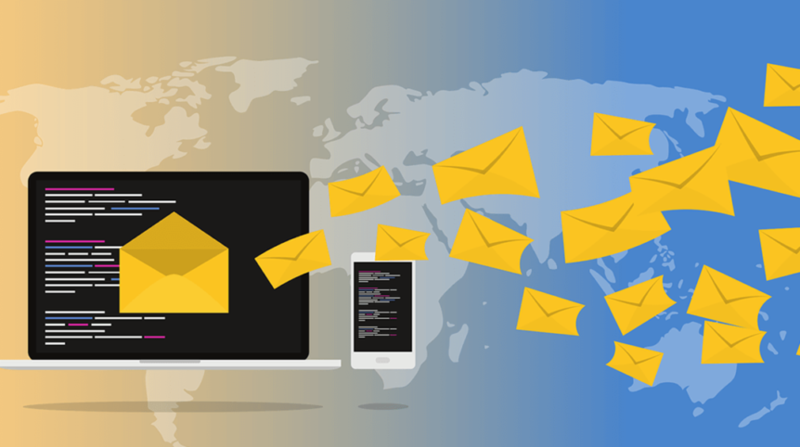 One great feature WooCommerce Memberships has is the ability to send out emails to members to inform them when their memberships are about to expire and how to renew them. Membership Ending Soon. Sent 1 to 60 days prior to a membership end date, this email reminds members of an upcoming expiration and asks for a renewal. Membership Ended. This email is sent immediately after a membership ends. Access to membership perks are no longer available but a renewal is. Membership Renewal Reminder. Again, sent 1 to 60 prior to a membership ending, this email encourages members to renew early. And that’s that. After this, your membership plan is live and ready to go. Once a site visitor purchases a membership and payment clears, they will have access to members-only content and products. Altogether, there are many reasons why WooCommerce Memberships may not work for you. For example, you may not use the WooCommerce platform. If you use Shopify, Easy Digital Downloads, iThemes exchange, or any other eCommerce platform, you are going to need an alternative solution. Moreover, if you are on a tighter budget, you may need more affordable (and even free) options. Lastly, if you are just starting out and feel overwhelmed at the thought of handling a powerful plugin like WooCommerce Memberships, it may be easier to start with a simpler solution until you build your membership site up. In the end, this is just the tip of the iceberg when it comes to what WooCommerce Memberships can do for you and your membership system. However, this basic setup gives you a great idea of its potential. In addition, it shows you how you can easily start a membership site right away without dealing with all of the bells and whistles this, and other WooCommerce extensions, lend online shop owners. Disclosure: From time to time, our blog posts will contain affiliate links for services we actually use and recommend. This means if you click on the link and purchase something, we will receive an affiliate commission. Lindsay is a guest Hero on the WP Hero Blog and a freelance writer for hire who loves WordPress. When she is not writing she can be found spending time with her son and two silly nephews!